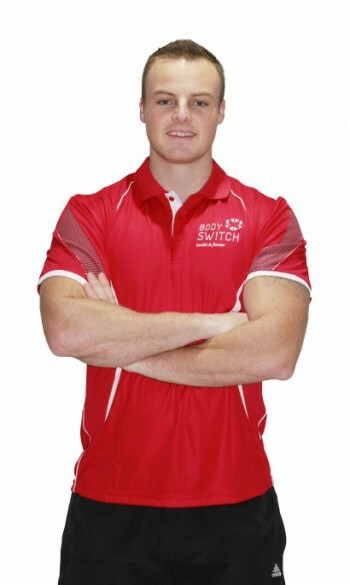 Bodyswitch Health & Fitness is a semi-private fitness studio based in Ipswich. Since commencing our operations in 2010, we have grown significantly and are now recognised as one of Ipswich’s leading gym and personal training facilities. Our number one aim is to encourage our clients to make positive change in their lives. And to do that, we’ve made joining our gym as easy and as financially accessible as possible. Flexible membership options so you only pay for the services and facilities you use. Our small studio has ensured we can offer excellent, personalised service in a supportive and non-intimidating environment. At Bodyswitch, you are not just another membership number – we know all of our clients individually and your successes are our successes. We’d love for you to pop in and take a tour of our gym and meet the Bodyswitch family! Contact us today for an obligation free chat about your health and fitness goals. Welcome to Bodyswitch Health & Fitness. Since I started my career as a personal trainer in 2007, it became apparent that the mainstream fitness industry was failing to reflect society's rapidly shifting ideals of health and fitness. I felt the industry was in desperate need of a fresh approach and I'm so proud that we are delivering that. We are committed to making fitness a fun and accessible experience for all. Using a gym should not be hard, frustrating or costly. Our membership model reflects that and is something that we remain very proud of. Every day, our Bodyswitch clients inspire me and make me want to provide excellent services and fitness programs. I encourage you to pop in and meet with me and see how we can help you to transform your life and achieve your fitness goals.